A black wave of pure evil and darkness which does 100 damage. Once your opponent gets hit, it is now paralyzed. If your opponent dodges or you miss, You miss one turn and cannot use this wave until you use your other attack twice. 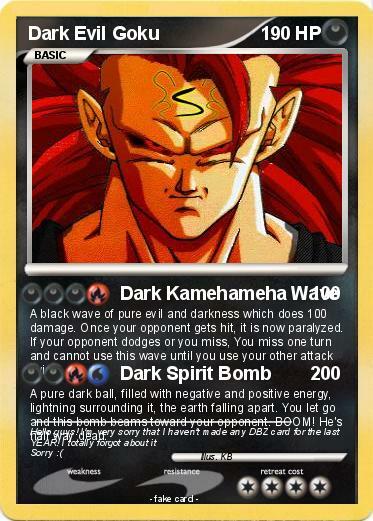 A pure dark ball, filled with negative and positive energy, lightning surrounding it, the earth falling apart. You let go and this bomb beams toward your opponent. BOOM! He's half way dead.